Navy, as a color, is extremely versatile. 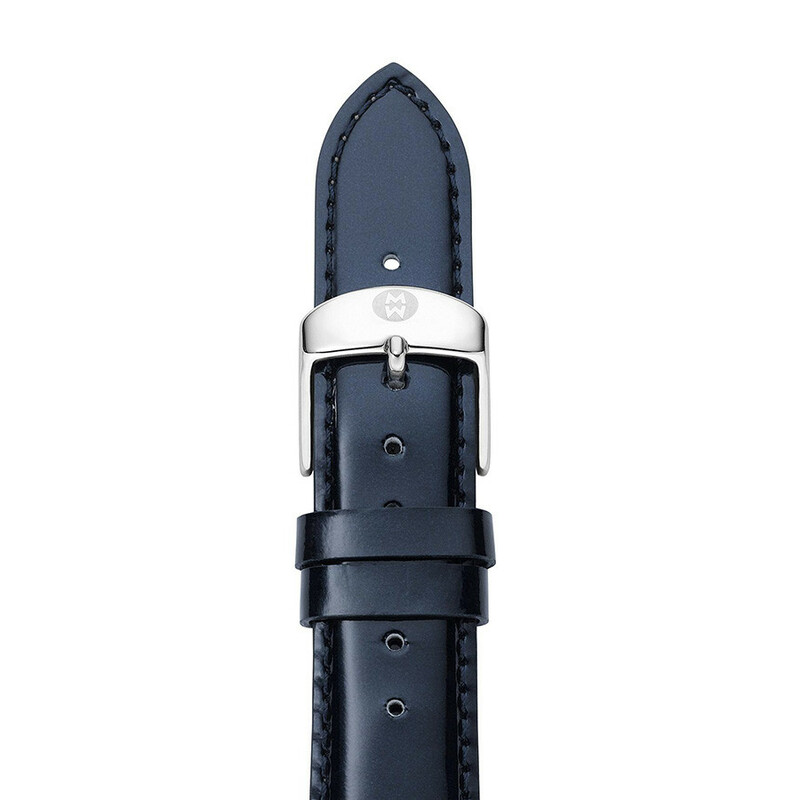 Michele has created a luxurious patent leather wristwatch strap in navy that you can change to fit your Michele watch head. This strap comes with a stainless steel buckle which displays the Michele Watch logo. The dark navy will look great with any outfit! JR Dunn has a 10-day satisfaction guarantee for all watch straps.